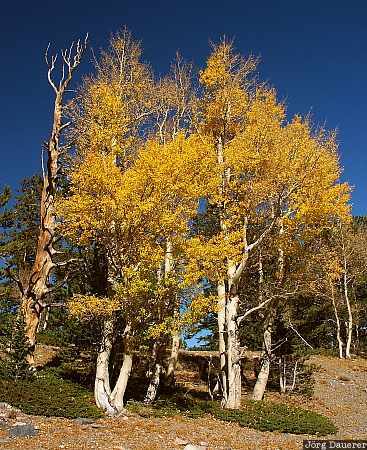 Trees covered by colorful autumn foliage in Great Basin National Park in front of a clear blue sky. Great Basin National Park is in eastern Nevada in the western part of the United States. This photo was taken on a sunny day in September of 2003. This photo is part of the exhibition Autumn (October 2006). This photo was taken with a digital camera.